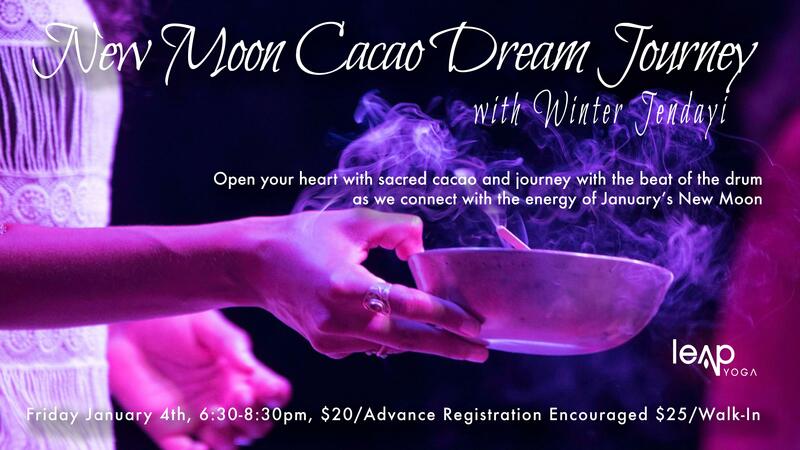 Open your heart with sacred cacao and journey with the beat of the drum as we connect with the energy of January’s New Moon, surrendering to the darkness of night and exploring how we may align with the earthy energy of this moon as it gives us the opportunity to set intentions and flow into the new year renewed and refreshed. This offering combines ceremony, shamanic journeying, sacred songs, and sound healing. The majority of our journey will be spent lying down as we are guided on a dream journey into other realms. Intentions will be set for our journey and this new year ahead, and we will journey so we may cultivate a deeper connection with the moon, finding healing and clarity and receiving the wisdom we seek.